After a long, tiring, but amazing semester at Emory, I came home to my lovely family and enjoyed Christmas vacation with them. 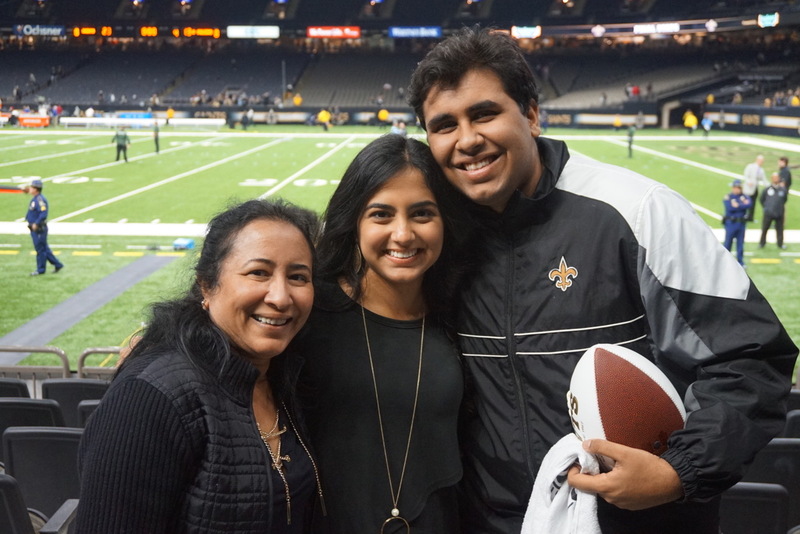 From a Saints football game to a New Jersey family trip, this break was filled with countless fun activities. I was also so glad that I got to see my high school friends and catch up with them. One of the most enjoyable things I did over the break was celebrate my parents’ 23rd wedding anniversary. In order to commemorate this wonderful occasion, my brother and I cooked them a three-course meal filled with pesto pasta and peach cobbler. It was a great bonding activity for my brother and me, and it was also a great opportunity for my parents to get a nice night to eat, talk, and relax. This special evening reminded me of how important family is, and I am so glad that I got to be home for the break with them.